Hi everyone! 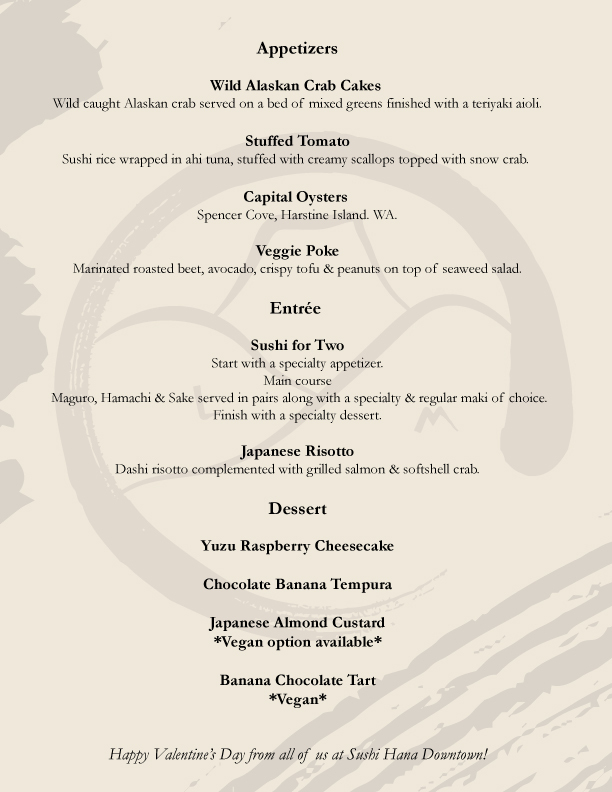 Here is our menu for Valentine’s day. Reservations are highly encouraged as we do fill up fast. Click HERE to book or please call the restaurant at 406.549.7979. The first best sushi bar in the last best place.